Barack Obama is visiting Europe over the coming weeks, with one stop being London, England, but since Osama Bin Laden has been killed, the threat from terrorism surrounding Obama and the USA has escalated. However, the President and his team of special agents are taking no risks, bringing his luxury, impenetrable Cadillac over from America to London for his trip across the capital. They may have taken it to extremes though as, according to this article, they have even asked for Barack Obama’s room in Buckingham Palace to have bomb-proof double glazing! His team have requested that they can bring along their own double glazed glass to cover the windows in his bedroom for his visit. This is a team that are very concerned about the well-being of the President, and they are not cutting any corners when it comes to his safety. I can’t help but think this is all a bit extreme, surely Buckingham Palace has a high standard of security if the Queen of England is living there? She is the crown jewel of our great nation, an emblem and historic figure for this country, so I am amazed that we are apparently not protecting her to the same standard as the US protect their President! Despite numerous demands from Barack Obama and his team, apparently he is “not nearly as demanding” as George W Bush was on his visit to the palace in 2003. This makes me think, what did he demand? I know that these are high profile people, with lots of responsibilities and a few enemies, but are they taking this too far? Saying that, safety is always a key issue and keeping these people, who make decisions which will affect all of our lives and lead our respective countries through thick and thin, with such responsibilities lying on their shoulders, it is no wonder they are protected to such a degree. 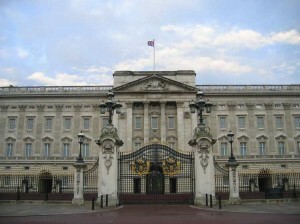 Maybe Anglian can install some bomb-proof EcoGain windows into Buckingham Palace to give them safety and energy efficiency, we can even Trade-In their old windows?